Cheap. Easy enough to work with. It's not amazing, and one of the front panel USBs was misaligned so far that it' shard to plug in. Disc drives don't sit flush or even sink in due to the case's rounded design. They all stick out unless you can find a rounded one to match the case. But if you're going through all the trouble of finding a better disc drive you might as well use a better case instead. Luckily for me, I just used a salvaged drive that worked well enough for me. 4/5 for silly little issues. I would use it again for this build, but only because it's a great budget saver. I got this for around $20 including tax and shipping and I'm pretty amazon lost money on this, lol. 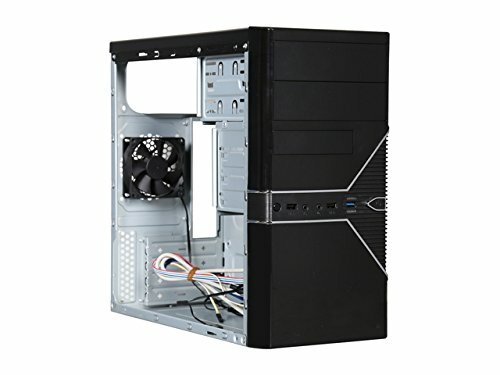 With a usb 3.0 header, this micro atx case is perfect for my build. Is a bit flimsy but I did not cut myself on it despite what people have said. This isn't a bad case at all. 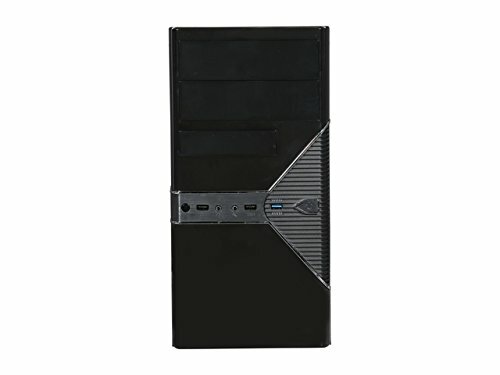 I love it at the price and may buy a couple more for some mini ITX boards I have with mobile processors in them. 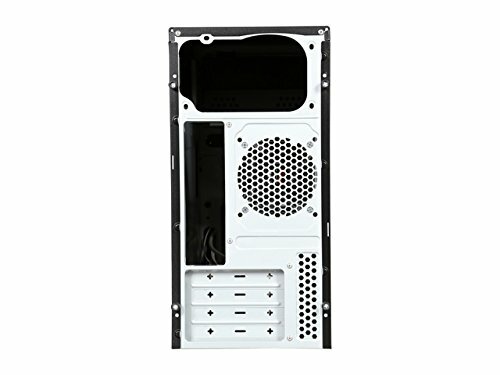 I would not recommend getting the Cooler Master Hyper EVO 212 with this case. It just doesn't fit :) Oh well, I think with a small cutout on the side panel it will fit and barely stick out. The Rosewell case was only $20 at the time of buying it. Very cheap and had some of the best reviews that I had seen for its price range. 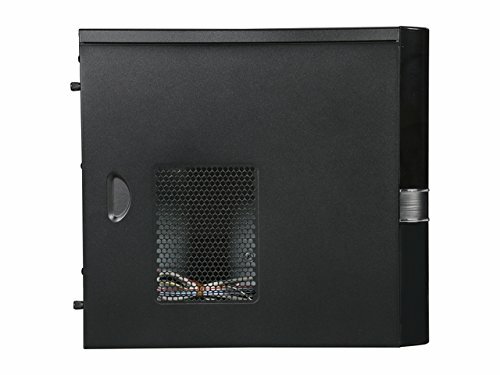 This was one of the very few $20 cases that has a front USB 3.0 , top mounted PSU spot and comes with x2 fans, x1 80mm exhaust fan and x1 120mm intake fan. In my opinion this is a fairly good deal for the price. 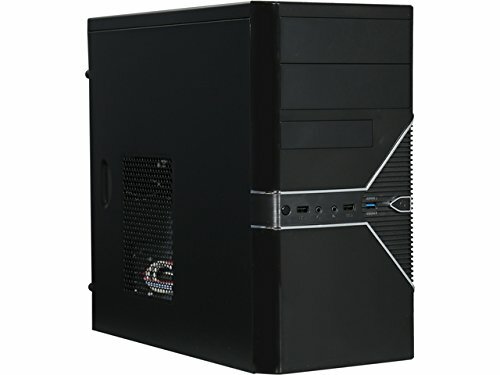 Its a cheap case its not gonna be comparable to the expensive ones, but what else is there to expect. You get what you pay for. Its flimsy and has some sharp edges that may slice you if not careful. I think this is a very reasonable case for the price that I got it for. 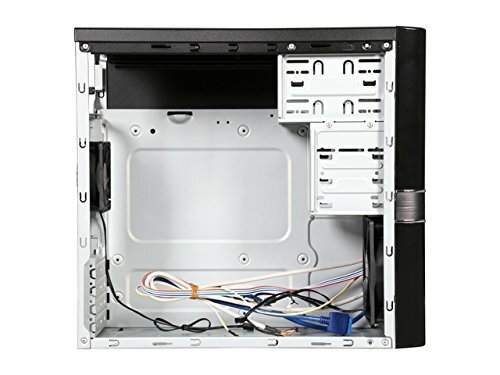 Cable management is very hard to pull off with this case, especially if you are using a non-modular PSU and using the CD drive cage. Reason being I stuffed the majority of left over cables in there. There is also very little space in between where the back panel goes on. So if you are running alot of wires back there to hide the majority of it they may bow the panel slightly. Had this sitting around after the disassembly of a previous system. 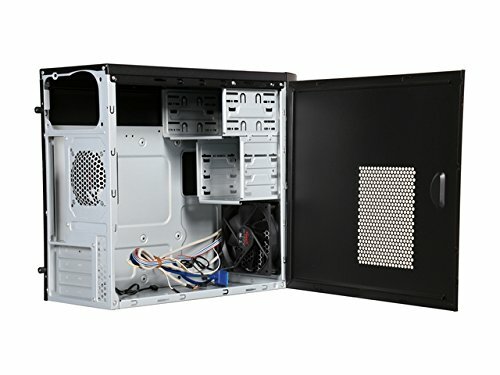 Basically has no cable management at all, and looks ugly, with no paint on the interior. 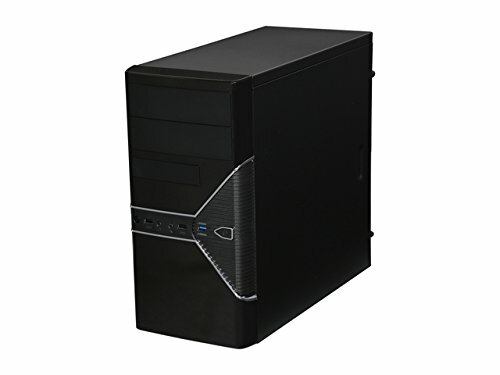 Nowadays, you can get better cases at its price point, such as the DIYPC MA08, so it's a little tough to recommend here in 2019. But if you have this case already, it does fine.